Morning Musume Wants You To Forget The Past! In the past year we’re sure you've noticed a lack in Arama's quality and overall activity. We'd be lying if we didn't say we lost interest. We started Arama They Didn't! nearly five years ago, and to this day it still surprises us what it turned into. Through years of copyright issues on streaming and download sites, it became increasingly difficult to find Japanese media online which is the only way most of us is able to access it. The J-pop community as a whole was segmented and shrunk even more with the rise of K-Pop’s constant releases and breaking news. At Arama, we tried to create a place that encompassed it all and bring back that sense of unity we once had. We've shared nearly 20,000 articles, received almost a million comments and built a community that brought 19,000 people together with the single interest of Japanese Pop Culture. LiveJournal has given us the opportunity to achieve what we originally set out to do. In 2012 we joined LJ Media thinking we would be further legitimized as a news outlet and hub for fandom, but after that seemingly went nowhere and swept under the rug. As we grew, our needs also grew but we weren’t sure how to execute them. Finally we decided it was time for us to go to take the next step and plan a revival for Arama. Opening July 1st, 2014 on our 5th birthday! 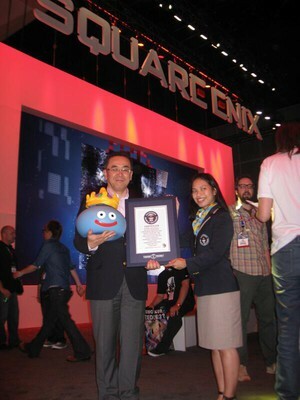 Guinness World Records presented Square Enix with the record for "longest-running Japanese RPG series" at E3 last week, acknowledging the Dragon Quest series. The series has been ongoing since 1986. Dragon Quest IX: Sentinels of the Starry Skies' "Chance Encounter" mode also won a Guinness Award in 2010 for "most popular ad-hoc wireless game feature for Nintendo DS." The feature was used 117,577,073 times as of March 4, 2010, before the game was released in North America and Europe. "Finally, "Perfume WORLD TOUR 3rd" is confirmed!!! We will be going to the US, Taiwan, Singapore and UK!!" PTA and WPTA ticket presale lottery is also up, check your respective site for information! Sakai Masato to be the lead in NHK's 2016 Taiga "Sanadamaru"
Sakai Masato will be playing the lead role Sanada Nobushige (also known as Sanada Yukimura) in the upcoming NHK 2016 Taiga titled "Sanadamaru". 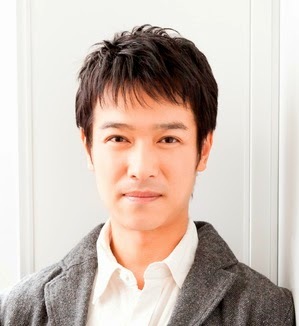 The scriptwriter will be Mitani Koki. Although this is the third time that Sakai is appearing in a Taiga, this will be his first leading role. Sakai commented that although much of Sanada's 49-year-life was shrouded in mystery, he is looking forward to seeing how Mitani will "fill in the blanks" and show a new side to this well-known historical character. On the other hand, NHK denied that Sakai was chosen due to his runaway hit last year i.e. "Hanzawa Naoki" but rather for his ability to take on the tough leading role in a Taiga for a year and his close relationship with Mitani. After two movies, “Pika☆nchi LIFE IS HARD Dakedo HAPPY” in 2002 and “Pika☆☆nchi LIFE IS HARD Dakara HAPPY” in 2004, it was announced that Arashi will star in “Pika☆nchi” latest installment with “Pika☆★☆nchi LIFE IS HARD Tabun HAPPY (version 2.5)“. In the said movie, Shun (Aiba Masaki), Bon (Matsumoto Jun), Takuma (Ninomiya Kazunari), Haru (Satoshi Ohno), and Chu (Sakurai Sho), will again meet after 10 years due to a certain incident. The five of them will talked about their life during those 10 years that they were separated. As for doing this movie, Matsumoto commented that they want to do something foolish again for their 15th anniversary since debut while Ninomiya said that the movie was done on a whim so expect it was put on loosely. V6‘s Inohara Yoshihiko also provided the movie’s draft with Kawahara Masahiko (Pika☆ nchi series, Hachimitsu to Clover) in script, and Kimura Hisashi (Kindaichi Shounen no jikenbo, ATARU) will direct the movie. The movie will be screened exclusively at Tokyo Dome City Hall for four times a day starting on Aug 1st to 31st. 250,000 audiences are expected to be mobilized. I CAN'T WAIT FOR THEIR NEW ALBUM. THIS SONG IS AMAZING AND I CAN'T WAIT TO SEE THE PV FOR IT. FIERCE HSJ!! (July 16th, 2014) It was announced today via social media and newsletter that Avex's girl bilingual group "FAKY" will be "revamped" meaning one or more of the girls will leave the group. They will also undergo an image development. Their mini album, which was due for release April 2014 has been delayed until July 2nd. Read the message below for more details. When I was in Japan last week, this song was being played EVERYWHERE. Now I can't get it out of my head. We all know Japan prides itself on having one of the lowest obesity rates in the developed world. However, a recent trend known as "marshmallow girls" (girls who are viewed as 'soft') is receiving mainstream attention from the likes of Avex who created a group called "Chubbiness." Made up of 10 plus sized women found through open casting, the group was expected to debut in spring but has not as of May 2014 apparently due to lack of popular. The girls have made appearances on talk shows. The group has been criticized for riding on a gimmick and the ten girls while larger than the normal rail-thin Jpop star we're used to seeing cannot be considered 'big'. Old news I know but I don't think(?) this group was mentioned on Arama and thought it would be an interesting thing to look at and discuss. What do you think Arama? 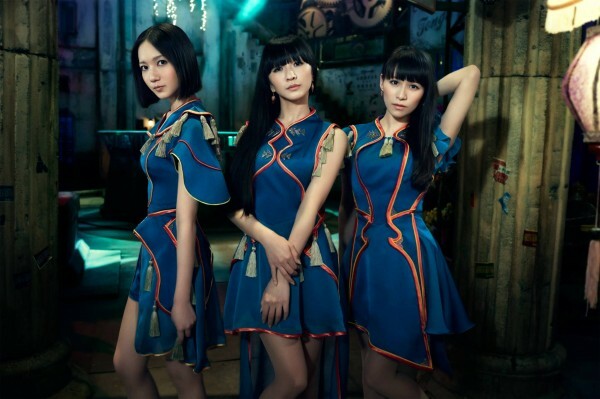 Perfume has announced their new single Cling Cling which will be released on July 16, 2014 and come in three editions: Regular (currently unavailable), Limited, and Special Limited. Tracklist, packaging differences, and CDJapan/HMV preorder links can be found below the read more. All editions come with a first press bonus poster. The Large Box Limited Edition has special packaging, to quote CDJapan: “Features 3D-photo cover and comes with a deluxe photo booklet. Comes in a box.” The Large Box LE is also extremely limited, with only one copy available per customer, whereas the regular LE is unlimited until sold out. When the first press LEs are sold out, the Regular Edition will be available, so as of right now, you can only purchase the Normal LE or Large Box LE.